Atlantis is adopted, but not home just yet! Each year I travel to the U.S. to continue my studies in Holistic Horsemanship with Reach Out to Horses. 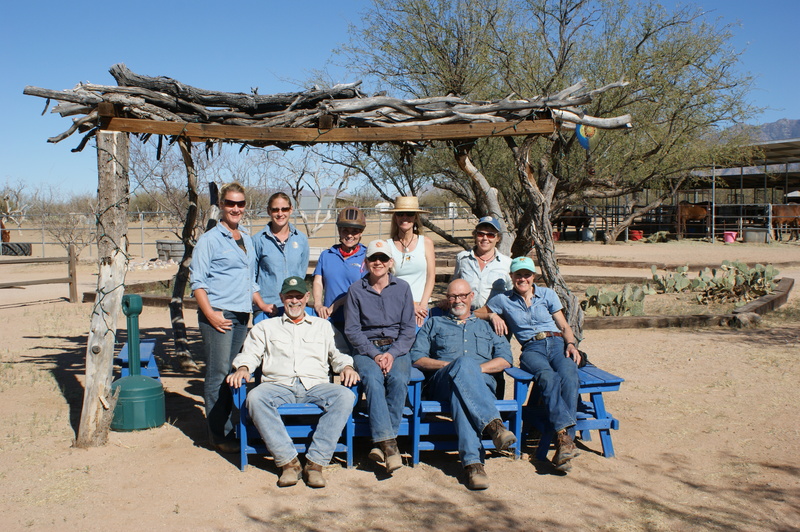 This month I completed the ‘Foal Gentling’ course in Sherwood, Oregon at Wild Horse Mountain Ranch. The 10 tribal foals we were partnered with had been separated from their moms and orphaned; they are only 4 months old. Luckily they were rescued by the Warm Springs Horse Network and given a second chance, PTL! I was paired with the littlest baby of the group, a sensitive boy who showed us very quickly how big his heart is and how brave he is. By day 3, I realized that I wasn’t over there just to learn about foals and the language of the horse but to meet a soul mate and help him live the life he envisions for himself. With the guidance of my mentors and a mind-blowing offer from an awesome lady, it became possible for me to adopt the little boy I worked with, Atlantis. The awesome lady, Melody (who took on 3 other foals as well!!! ), will be taking Atlantis and his friends home to live with her. This means driving them from Oregon to the East Coast i.e. across the whole of America. This will cost at least $500 per foal, not to mention their vet bills for health certificates to cross State lines. Once Atlantis has healed and grown a bit more, he will get to decide if he wants to come live with us in England (yes, he has a choice;)). I signed up for the ROTH Foal Gentling Course after unexpectedly losing my beloved Clydesdale, Aramis. I had hoped to honor his memory and find a little bit of peace and healing. I certainly didn’t expect to feel an immediate bond with one of the foals! That first morning when I stood at the gate, watching the foals, the little liver chestnut picked up his head and stared right at me. I felt an instant connection, the same I had felt with Aramis. Then Anna chose him as my foal, the one with whom I would work for the week. I couldn’t believe it. By the second day of working with Quincy, I knew he was meant for me. I truly believe that Aramis guided me to the training so that Quincy and I could find each other. Aramis knew Quincy needed me and I needed him. The choice to bring home the Cremello girl, Ilse, happened gradually. I was so impressed with her gentle, steady nature and her intelligence. After listening to Anna’s stories of horses that didn’t have the right companionship growing up and how it affected them, I knew Quincy needed a friend. I felt Ilse would be a wonderful choice because her steady, quiet confidence would help Quincy find his. They make a wonderful pair. Ilse doesn’t push Quincy around and already Quincy looks to her when something makes him nervous. I feel so blessed to have connected with these two gentle souls and I look forward to many years of love, partnership, and companionship with them. Quincy was the youngest of the 10 foals that participated in the ROTH gentling class. He is a beautiful liver chestnut with a white star and two white hind feet. He is curious and alert. He likes to watch what everyone is doing around him and is very playful. He will try to play with anything new you bring into his pen. He doesn’t spook easily but does lack confidence sometimes. His “sister” is helping with that. Ilse is a beautiful Cremello with light blue eyes. She is built like a little tank and has the most amazing mohawk. She is calm, steady, confident, and intelligent. She learns incredibly fast and seems unflappable. She is patient with Quincy and his antics. She is very mature for her age. Anna had a great week with our ROTH students and the foals of the Warm Springs herd in Bend, Oregon. Please visit our website, or our Facebook pages for more info on how ROTH’s gentle starting techniques are best for foals everywhere, and to learn how you can join Anna in the future! WSHN – the Warm Springs Horse Network was chosen to provide the amazing foals to an Anna Twinney clinic held in Sisters, Oregon this past week. This week long, intense, hands on clinic provided attendees with something they will walk away with as a memorable life changing experience. While learning the techniques and theory of horse gentling the students focus on obtaining the knowledge of a kinder gentler method of horsemanship. Respect along with permissions. This makes perfect sense while dealing with eleven Warm Springs foals ranging from 2 months to 5 months old. Recognizing the subtle body language, approach and retreat along with respect proved to this writer the amount of time effort and dedication is priceless in the student and the animal. After witnessing a student establish an acceptable touching space on the animal then moving forward to establishing a true communication language between the pair. I watched in amazement as the student was able to guide the foal into acceptance and respect for the student. Under the kind leadership of Anna Twinney, this breakthrough between species made yet another marked impression on all that observed these actions. The sense of accomplishment lead to one proud student and a lick smacking chewing, yawning comfortable foal. Students also were hands on with the care and feeding of each foal. Some stayed through lunch to enrich this experience even further, petting and observing the friendlier horses. As the week is progressing the entire group will travel to the Warm Springs Reservation, guided by a Tribal Member to observe the wild horses in the wild at the reservation. The amount of community abounds when WSHN is involved, we are proud to have been a piece of this multifaceted composite that has led to a well-rounded amazing learning experience. An equine nutritionist will also explain the nutritional needs of equine. Auditor, Tracee Dmytryk commented on how “comfortable the foals became from her first day of observation to the third, “it’ appeared the horses had little stress, became more confident and comfortable around the students.” Another auditor, Angie Shelby, observed on “how the gentle techniques used by Anna were an amazing interpretation of gentle horsemanship”. Shelby also remarked on the high level of care that was given to each foal. Anna provided what was “best for the horse – the herd.” She also observed how, “the more reactive horses where being touched in a short period of time”, using Anna’s techniques. WSHN is a 501c3 nonprofit developed by a group of four women in central Oregon. Shontae Thomas, Robbi Pruitt, Tori Reid and Beth Matanane. Dedicated and developed with the sole purpose of promoting the Warm Springs horses and providing an educational avenue for persons interested in the Warm Springs equine. A portion of the proceeds from this clinic will go to aid in the care of the WSHN horses looking for adoptive families.